It feels like a century now since I piled back onto my flight back to London as my year abroad in Salamanca came to a sad end. Since I've been back home I've not actually had that much time to reflect on my experiences, mainly because it makes me a little too sad. There were lots of aspects about Spanish life to which I would've very happily said adiós and get in the sea (ie unhelpful opening hours and the frankly ridiculous amount of public holidays they celebrate). However, lots of aspects had me wishing I could box them up and bring them back with me on my flight home. Here's 5 things I'm missing about la vida española. It has to be said, in the UK we pay ludricrous amounts of money for having lunch out. Although restaurants are increasingly bringing out money-saving lunch menus, I still would say that us Brits are ripped off with our overpriced sandwiches and salads. Spain has got it so right when it comes to lunch, so much so that I hardly went out for dinner in the evening, mainly because I could get lunch for so cheap and stay full most of the day! 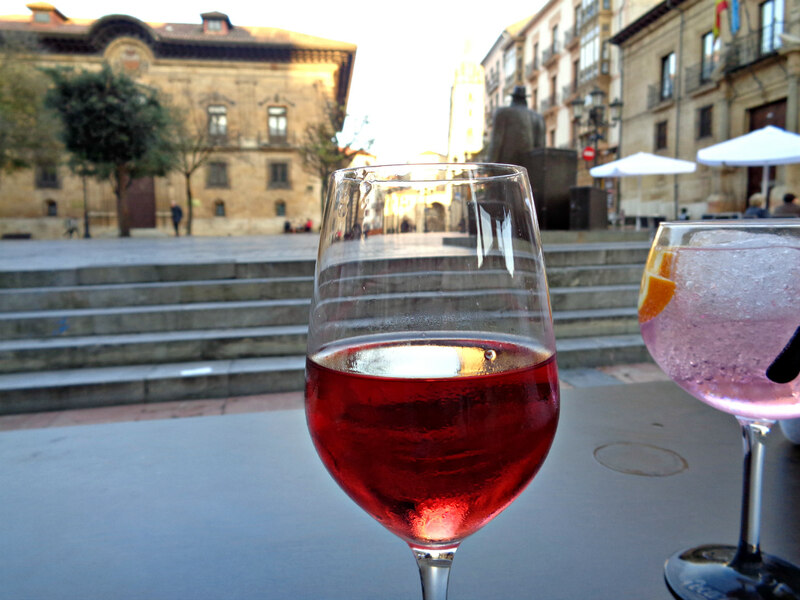 Salamanca had an overwhelming amount of tapas bars to choose from, but I soon found a few firm favourites. I would say that the tapas options can become a bit boring and samey so it's important to mix it up and try different places as much as you can, but for the prices you pay, ranging from a mere 80 cents to 3 euros, you can have a quality lunch for a lot less. Stay with me on this one! It was one of the most unexpected parts of daily Spanish life, but wow do they like their printing and scanning shops. I'm now a convert, considering how much stupid paperwork and admin I had to print out and give in or send back to the faculty of languages. It became so much easier to get stuff printed out on the way into town, or after a food shop, instead of faffing about with a printer at home. My favourite printer shop (honestly there were so many about you soon find your favourites) charged 3 cents per sheet, it was a perfect way to use up loose change in the purse. Just don't pay a visit before or just after siesta! Spain's tea culture was a huge surprise to me. I had assumed before that the Spaniards drunk nothing but coffee, but Salamanca had so many cafés home to an astonishing choice of tea for a good price. I would go as far to say that sometimes their tea options were better than what you would find in a Costa or Starbucks here! One of my favourites was White Caramel tea, sweet but enjoyable and actually tasted of something. And of course, their coffee is miles better than most standard americanos. It was extremely inexpensive too, normally coming in at a mere euro for a café con leche (white coffee). Going out as a student in the UK can be a bit concerning money-wise, especially if you're not at a university with student-friendly prices! Even in Southampton, which is well known as a city with a big student population, going out can be expensive when you include the taxi and entry fees. However, in Salamanca I could leave my flat with 2 euros, and come back with the same amount! Pre drinking is also very cheap, with most bottles of wine hardly exceeding 2 euros. No clubs charged entry, and although the drinks in the club were quite expensive, you could ensure yourself a very cheap night out. Travelling around Spain was much cheaper than I thought it would be, and I feel slightly regretful that I didn't always make full use of it, especially in the first semester. Regardless, I feel like I saw a lot of Spain (and a bit of Portugal!) in my short 9 months there, including Valencia, Sevilla, Oviedo, Valladolid, Segovia, Madrid and Lisbon. Usually I simply got a coach, since Salamanca isn't the easiest to access by train (I certainly would not recommend the Salamanca to Lisbon "sleeper" train - I had exactly 0 hours of sleep during the journey!). The coaches were often comfortable, had WiFi and although I had a few ropey drivers, I normally felt safe during the drive. They were good at taking breaks too, something which can be a worry for people when travelling. Undoubtedly all of those trips from the UK would've cost me a lot more so I'm glad I took advantage whilst I could! Have you lived abroad before? What do you miss about living there? Thanks for reading!